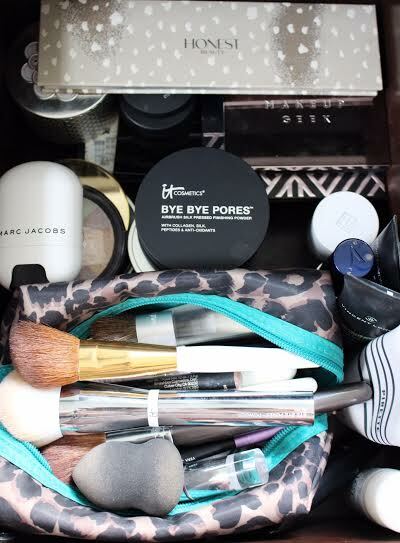 Everything was thrown into the top drawer of my vanity, super disorganized and not the most fun to search through every morning while getting ready. 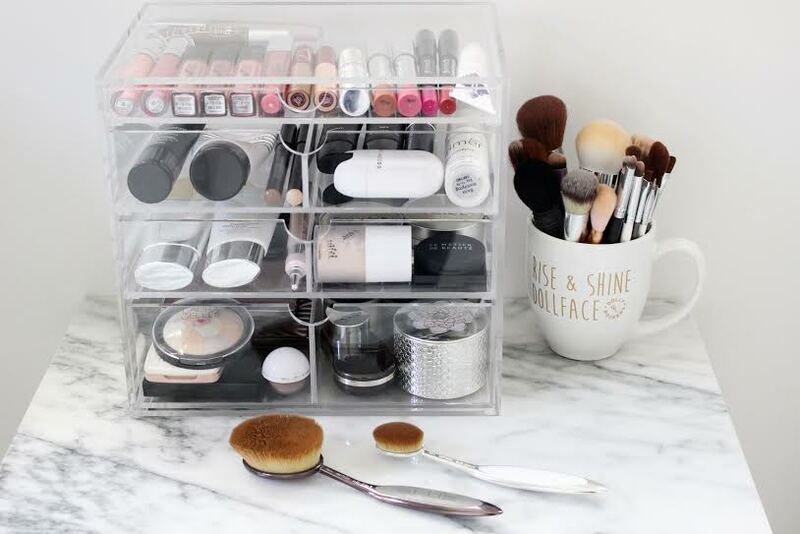 My makeup collection has grown like crazy in the last few months and I decided I needed a better, more convenient and more visually appealing way to keep it organized and easy to find day-to-day. I found the beautiful acrylic Original Beauty Box on Instagram and fell in love instantly!! 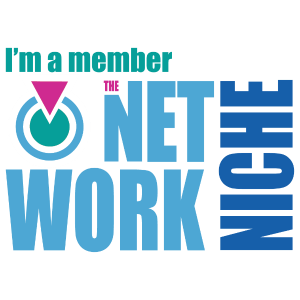 They come in a few different sizes depending on your collection size and how much space you have, I chose the original size and it works just perfect for my everyday essentials and the makeup I use on a regular basis. 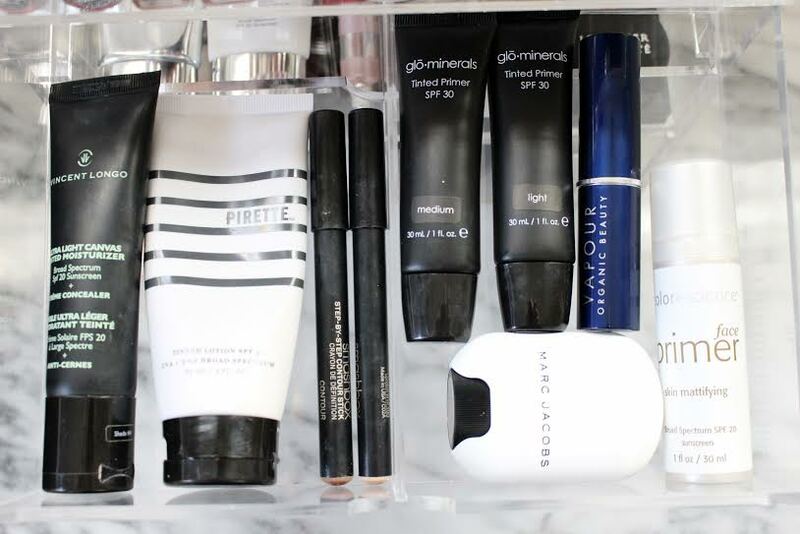 It is for sure any beauty addicts dream come true! .:. Top Drawer .:. This is the smallest of the 4 drawers. 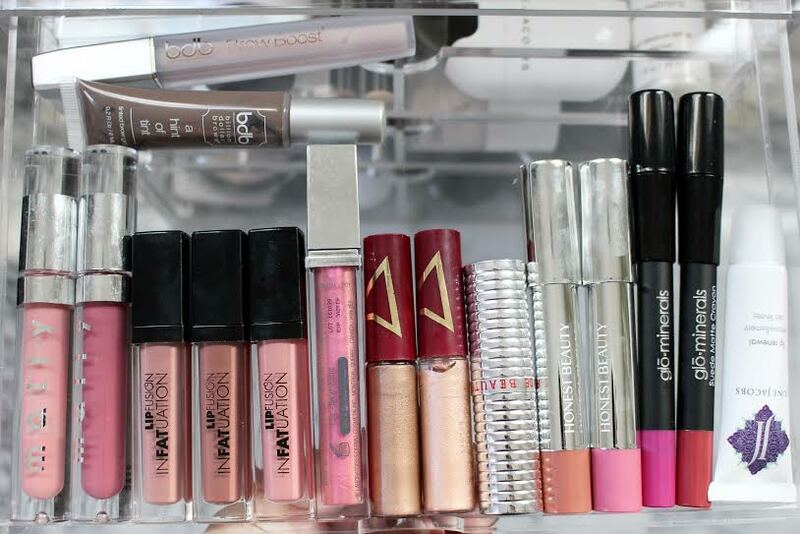 I keep my favorite lip products (Mally, Lip Fusion, G.M. Collin, Le Metier de Beaute, Honest Beauty, Glo Minerals, June Jacobs), my brow gel and liquid eye creams from Wander Beauty. Brow gel is totally random but it fits perfectly. .:. Second Drawer .:. My face products.. Vincent Longo tinted moisturizer, my favorite foundation/tinted moisturizer EVER from Pirette, Smashbox contour/highlight sticks, Glo Minerals tinted primer, Vapour Beauty foundation stick, Colorescience primer and my new Marc Jacobs glow stick. .:. Third Drawer .:. Kind of a random mix of Honest Beauty tinted Moisturizer, Isaac Mizrahi shimmer brick (I can’t get enough of this! 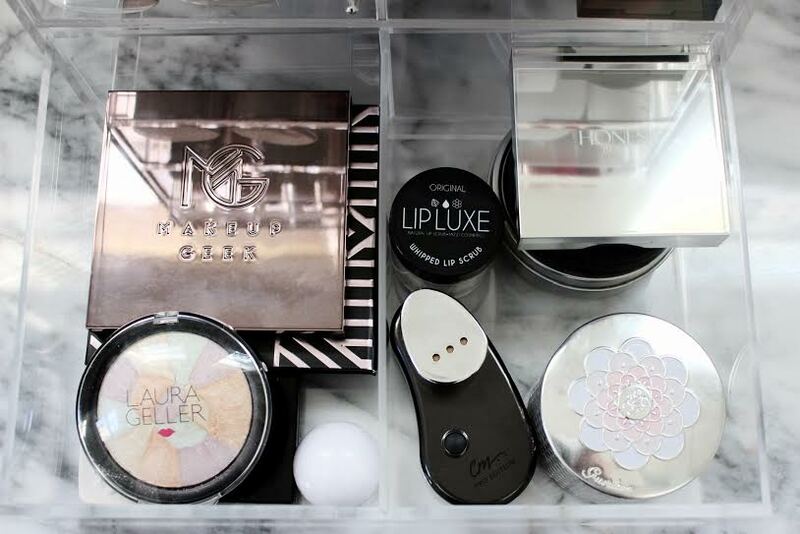 ), IT Cosmetics concealer, blushes (Cargo’s are my fave), loose setting powder. .:. Bottom Drawer .:. This drawer is the deepest and also contains a mix of everything. Makeup Geek shadows/Manny MUA Palette, Laura Geller finishing powder, my holy grail Mizzi Cosmetics lip scrub, Honest Beauty luminizing powder, Color Me foundation applicator, and last but definitely NOT least the Guerlain Meteorites. 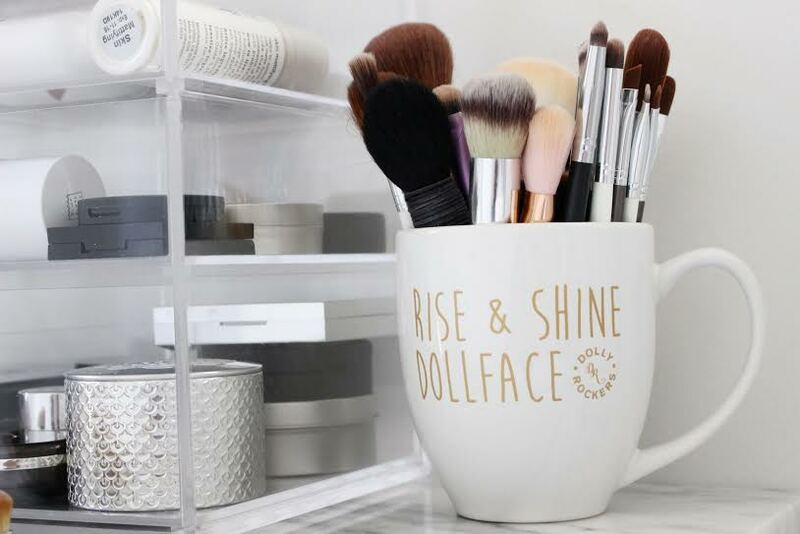 I like to store my makeup brushes in this pretty coffee mug right next to the beauty box for easy access & because it looks pretty! This is so incredibly pretty! How did I not know about this?? Thank you so much for posting about this!! 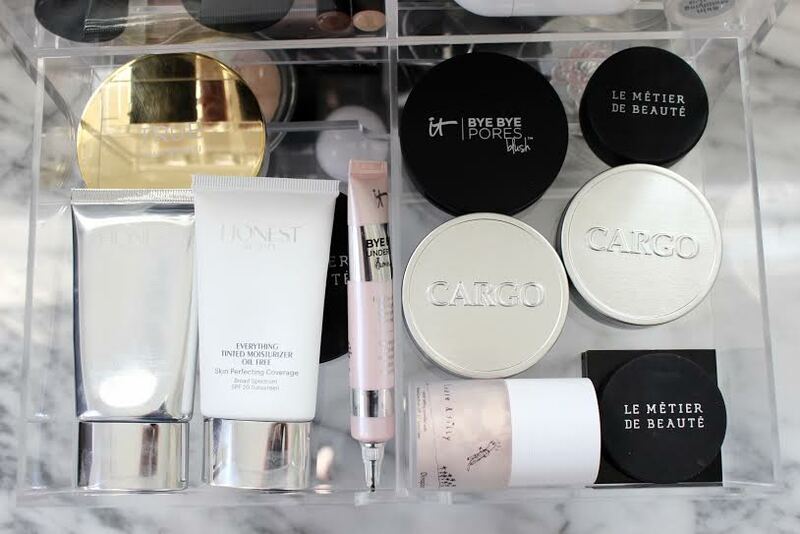 Your storage is so pretty! I need to get my hands on one of these! Thank you!! If you choose to buy one the code *LOVEKIMBERLY* will save you 10% from their site!! Hahaha thanks! Mine was super messy before!